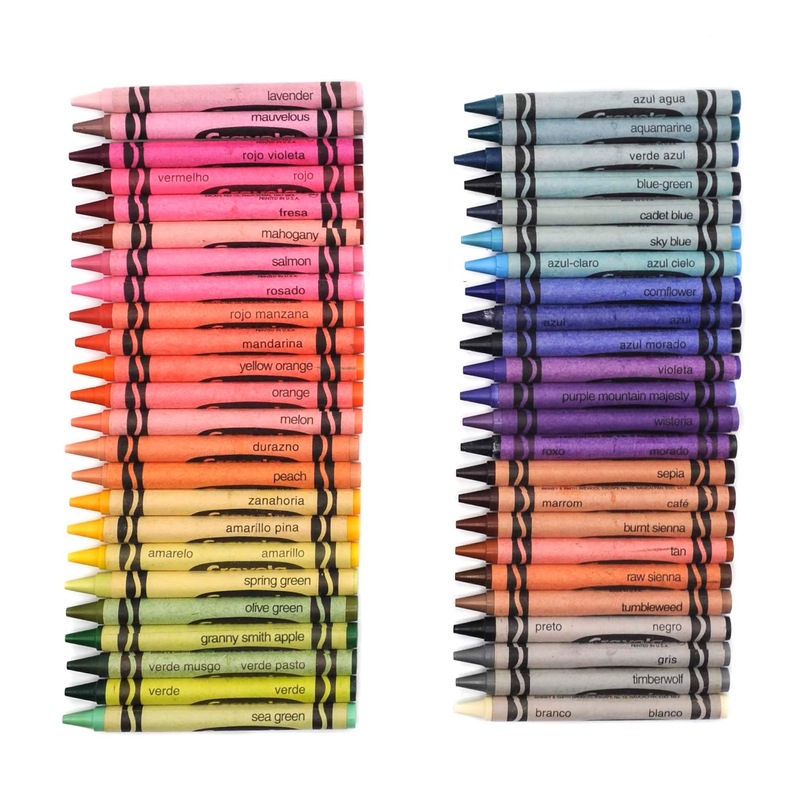 Crayola makes crayons for other countries. Sometimes the boxes are unique some times they are not. 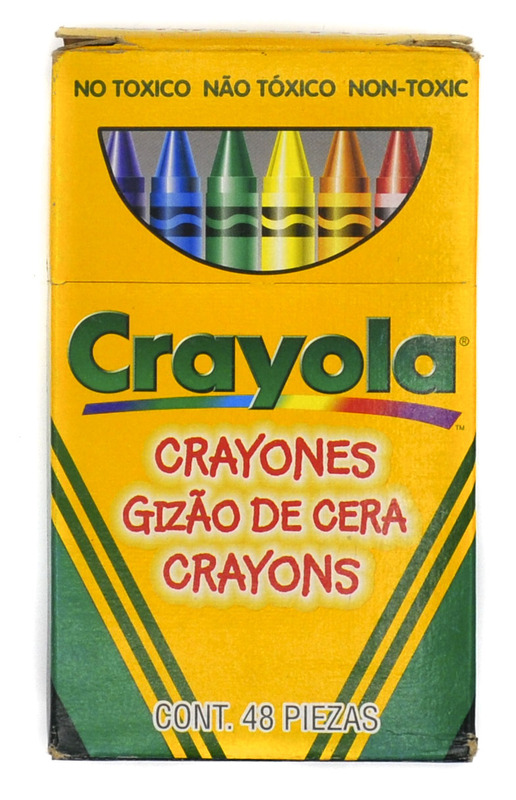 Over the past little while Crayola has transitioned to trying to dual package some materials. Crayola has changed the wrappings to put multiple languages on the wrapper. That way they can be sold in other countries without having to change things. 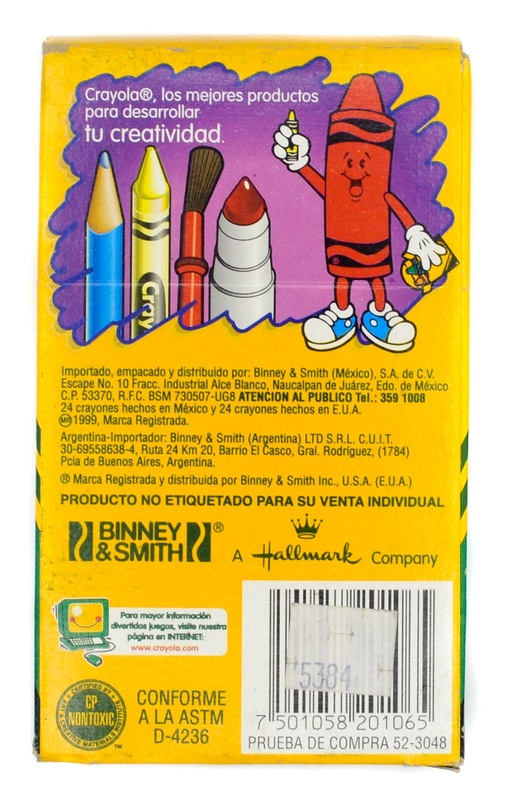 Crayola has made crayons in Mexico for a long time. They even have a factory there. The factory mainly focuses on large crayons, but it seems they also make some unique colors for Mexico there, colors that can not be found in the United States. 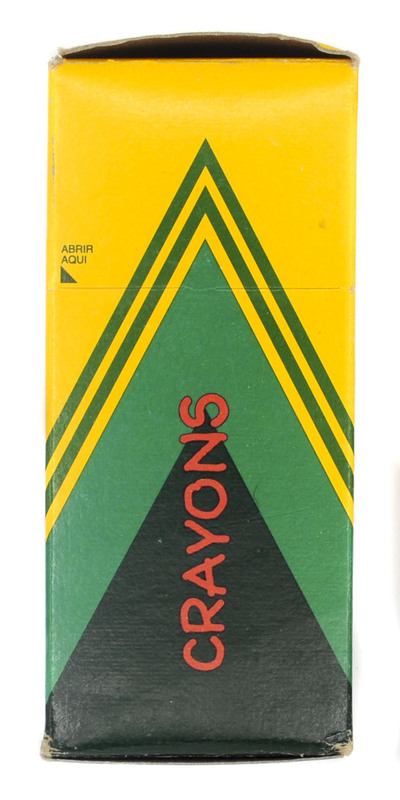 The 48 crayon box from Mexico contains colors not found in the regular US box of crayons; strawberry, apple red, mandarine orange, carrot, pineapple yellow, grass green, aqua blue, pink, and blue purple. It even has purple and violet. 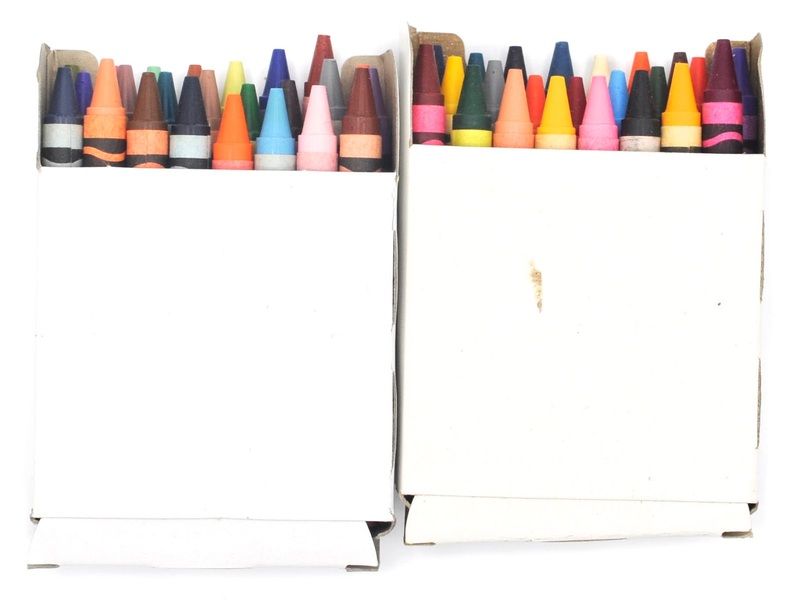 A normal box of crayons usually only has violet (purple). 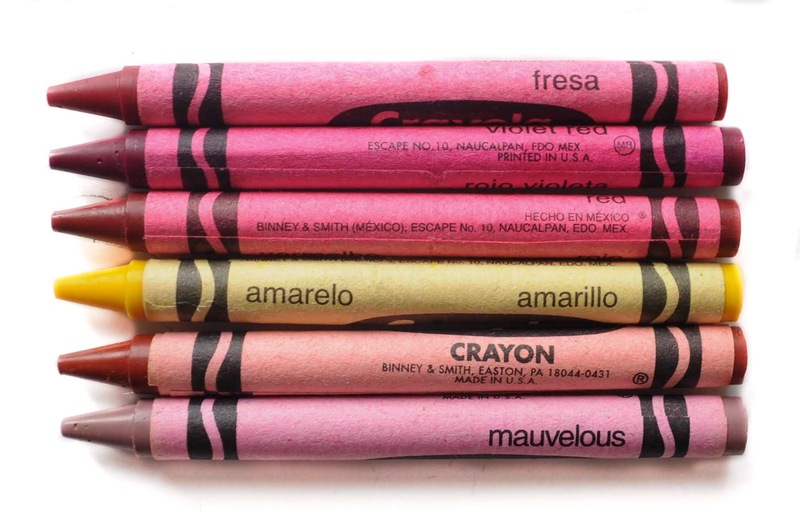 Some of the crayons feature only English names, some Spanish and English, and some Portuguese, Spanish and English. This box if very collectible. It also contains colors made only in Mexico. 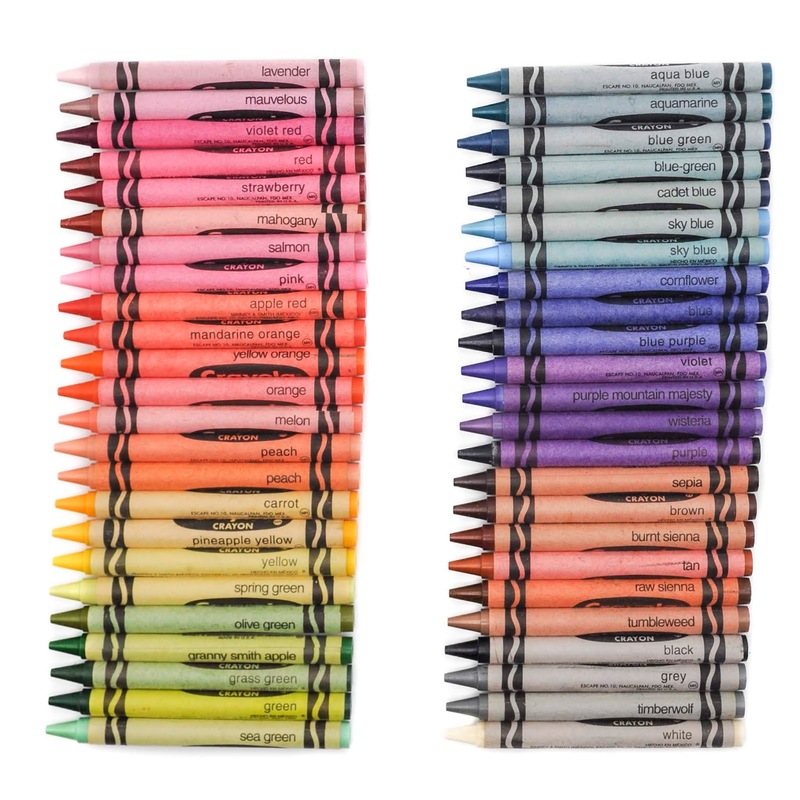 It is interesting that half the crayons are made in Mexico. What is even more interesting is of those half some of them half wrappers made in the US for Mexico. See the labels below. The wrappers printed in the US only feature the Spanish color and English name on each side. 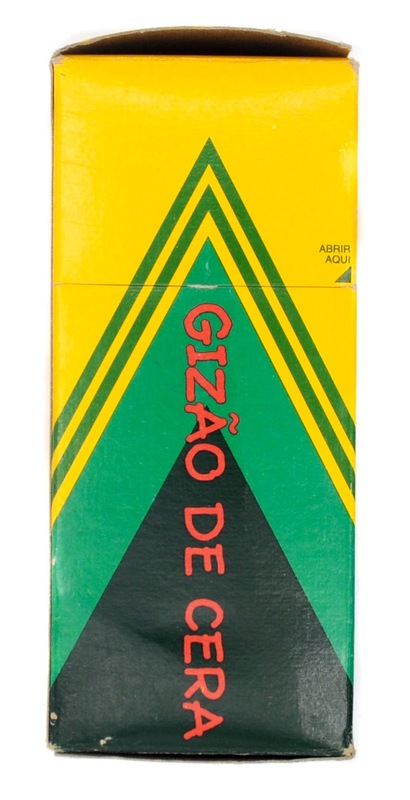 The ones printed in Mexico feature English on one side and then feature the colors in Portuguese and Spanish. 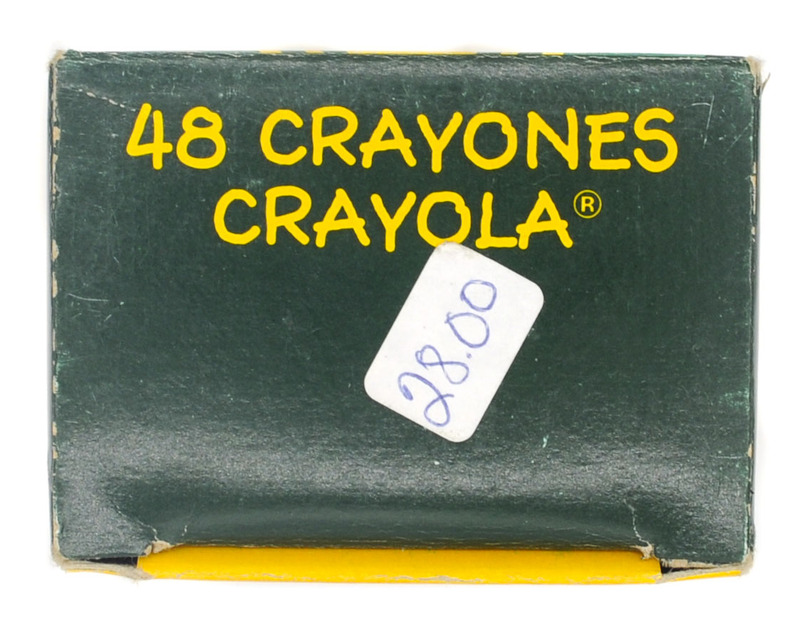 It is interesting that the box says that 24 crayons are made in Mexico and 24 in the USA. I found that 25 were made in the US and 23 in Mexico. I checked over and over and over again.